While President Trump have made headlines by announcing the establishment of “Space Force” as a new separate branch of the United States military, different political, bureaucratic and legal forces might make this objective more of a fiction than reality in the short-term horizon. Although the President, representing the executive branch of the Federal government, has a powerful voice in enforcing federal laws and recommending the establishment of new branches of military, Congress, representing the legislative branch of the Federal government, is ultimately responsible for the enactment of new laws and creation of such new branch of the military. The last time the United States government established a new military branch, the United States Air Force, was back in 1947 when the National Security Act was passed by Congress and signed into law by President Truman. However, the Air Force was not born overnight and there were 29 unsuccessful congressional attempts over a span of 20 years before the Air Force finally came to its existence by fully separating from the U.S. Army. Given this past timeline, and the fact that many congressional members are not too keen on rushing through this process, the United States Space Force might be still a while away from getting the congressional approval needed to take its maiden flight. Establishing the Space Force as a separate branch of the military would also entail moving certain roles and responsibilities from existing service branches. Needless to say, a major part of this military reshuffle will involve the U.S. Air Force: which can likely see its 36,000 member strong Space Command shifted away and become the core foundation of this new service branch. 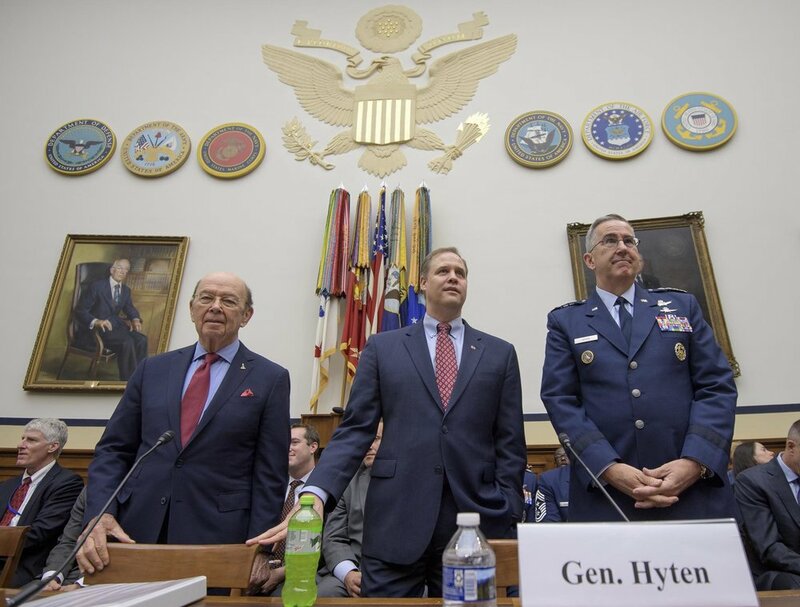 Additionally, others in the military, including the current defense secretary, General James Mattis, have voiced their opposition to the creation of a new branch when the military should instead be focused on streamlining costs and increasing efficiency. Given this type of high-level opposition, the creation of the Space Force is unlikely to be warmly embraced by military leadership in the immediate future. The United States has both signed and ratified the Outer Space Treaty, which serves the seminal foundation of international law related to Outer Space. Some in the legal community have argued that the Outer Space Treaty would also hamper the establishment of a Space Force. Hence, while the Outer Space Treaty would not be exactly opposed to the establishment of a United States Space Force, such a military branch would be limited in the activities it can perform in Outer Space. Such restrictions could practically make the activities of the Space Force redundant to what NASA is currently conducting in Outer Space, thereby decreasing the Space Force's immediate effects as a fully functioning service branch. As this post suggests, the immediate establishment of a United States Space Force is unlikely due to strong headwinds from political, bureaucratic, and international forces. However, as more and more countries and companies start looking upward into the stars as a way of advancing their economical needs and entrepreneurial goals, military protection for these interests will likely follow suit. Hence, while the odds are against the establishment of a Space Force in the next few years, a very different scenario, in which Space Force will play a central role, might become the norm in just the next few decades.